What Are Some Old Cars That Can Still Compete With Their Modern-Day Descendants? Photo via Favcars. A Willys CJ-3B on the right, a modern Wrangler JK on the left. Modern cars are better than old ones in pretty much every measurable way. Especially in the last few decades, the industry has seen enormous advancements in fuel economy, acceleration, handling, crash safety—the list goes on. But what are some vehicles that have withstood the test of time, and still compete with their modern counterparts? Obviously, to answer this question, you’ve got to define what I mean by “compete,” so let’s just talk about performance of intended function. So, for example, a small car’s primary function might be to offer good fuel economy, a big SUV’s primary function might be to have lots of off-road capability, a pickup truck’s primary function might be towing. In other words, what are the vehicle’s main functional objectives, and can it out-do modern vehicles with those same main objectives? 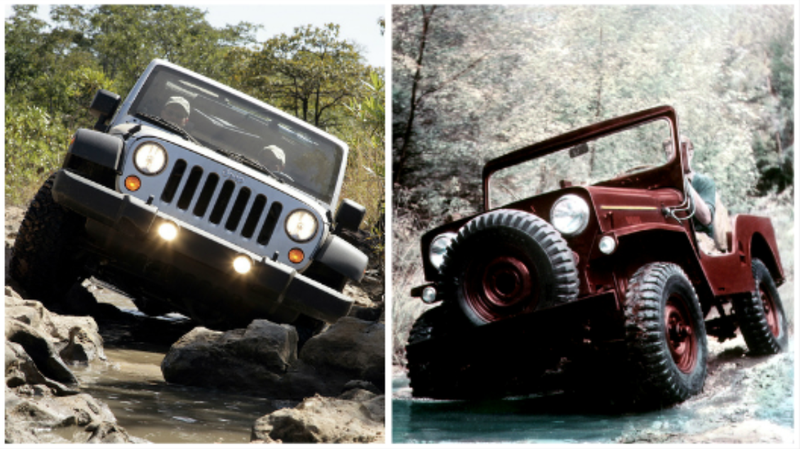 I ask this because after having driven my Willys CJ-2A off-road, I realized that somehow, even though the CJ is 69 years old, it can still truly compete with (and perhaps surpass) a 2017 Jeep Wrangler off-road. To be sure, a modern Wrangler is better in many other areas—ride comfort, fuel economy (by a bit), power, torque, interior features, etc. But in a main area of performance—one of both vehicles’ main functional objectives—the old Willys can go toe-to-toe with the current version. That’s not an easy thing to say about many other vehicles. An old Challenger, for example, could never out-accelerate a new one, an old heavy-duty Ram could never tow as much as a new one, and an old Corvette could never out-handle a new one. So what other old cars out there, besides an old CJ, are actually still legitimately competitive with their modern counterparts in a major area of performance? Are New Cars Really That Much Better? Just How Massive Are New Cars Compared To 20-Year-Old Ones?